At some point during Virginia’s graduation weekend, her grandfather asked if she was excited to trust God for what’s next. 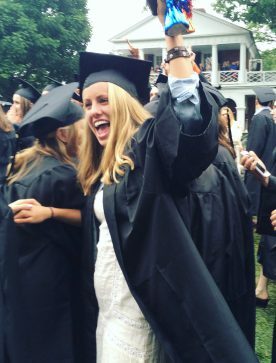 Like so many new college grads, Virginia has a lot of irons in the fire, but the specifics (jobs, housing, learning to cope without acai bowls until she starts earning a paycheck) are all still swirling around in her blender, and post-college life can be daunting. Which is why I love it that Papa John asked if she was excited. On a good day, I might look at an uncertain future with a willingness to trust God, or maybe a resigned sort of readiness…but excitement? I don’t know. For me, trusting seasons – those times when the future (or even the present) is out of my control – are more often endured than enjoyed. Excitement rarely plays into the picture. But my pal Susan Yates would have understood John’s question. 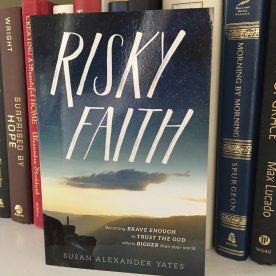 Her new book, Risky Faith, does not discount the fears and worries of our lives (both the real and the imagined ones), but she challenges us to reorient our perspective. Instead of letting our “issues” (things like children, jobs, health concerns, relationships) take up the whole screen and cloud our vision, Susan encourages us to stack these things up against the awesome power and love of our Almighty God. With 46 years of marriage, 21 (or more?) grandchildren, and a lifetime’s worth of trusting God, Susan is quick to share her own failings. But she doesn’t wallow in them. Instead, she takes us through the hard places of pain, betrayal, and disappointment and leads us into a new reality marked by gratitude, growth, and a confidence that God is soooo much bigger than our problems. Because he is. And at some point, whether we are a newly minted graduate or a seasoned grandmother, we are all going to have to trust God for what’s next. It might not be easy, but one thing’s for sure: When we live the “risky faith” way (taking our eyes off the circumstances we see and fixing them on Someone we don’t), trusting God becomes less of a muddle, and more of an adventure. Some people might even say it’s exciting. Back when Robbie Jr. turned ten, he wanted a family wrestling tournament for his birthday. Big Robbie was delighted with that idea and immediately set about making a bracket (which he literally put on a poster, with a title and everything). It didn’t really surprise me when I didn’t make it past the play-in round, but I was surprised by the scoring. I had no idea you could win (or lose) a wrestling match by so many points; I thought it was just pin or be pinned. But every time one of the children twisted me in a different direction, Robbie gave ’em more points, and I lost big. 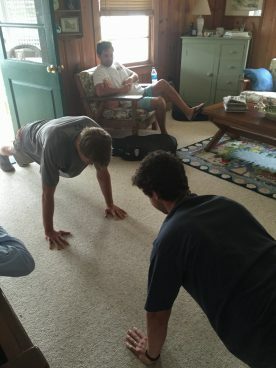 I should have known better than to try to compete in the push-up competition we had a couple of weeks ago, during our family vacay. I’ll spare you the details, other than to say that my new favorite person is son-in-law Geoff, who was, I think, the only relative who did not criticize my form (and who, I am sure, spent the entire morning wondering why God couldn’t have hooked him up with a normal family, like maybe golfers). Maybe you’re a fitness guru, the kind of person who wins wrestling tourneys and push-up competitions. 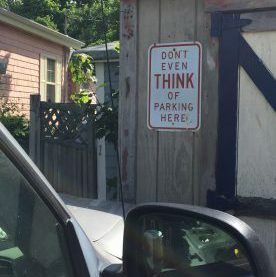 Or maybe you’re not. Either way, the good news is that God has given us a secret source of strength that has nothing to do with muscle tone. It’s joy – and it comes from believing what God says in his word, and acting like you know it’s true. Because it is. Why is it that when somebody tells us we “can’t” do something, that becomes the very thing we want to do? 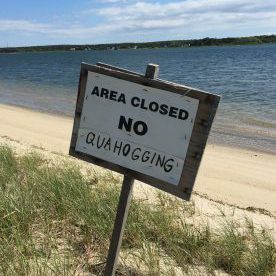 Like, I didn’t even know what “quahogging” was, but when I saw this sign near the water in Martha’s Vineyard, I found myself inexplicably eager to try it. Was it a forbidden dance move? A locals-only term for shacking up on the beach? Something having to do with a boat? As it turns out (and maybe I am the only person who didn’t already know), a quahog is just a fancy name for a clam, and when you put it that way – “No Clamming” – it doesn’t sound nearly as illicit or adventurous. But still. Quahogs or clams, what’s the allure? 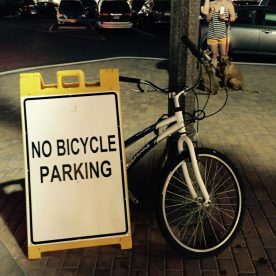 Bible brainiac Warren Weirsbe says, in his commentary on Romans, “Something in human nature wants to rebel whenever a law is given.” No kidding. Truth be told, though, resisting the call of the quahog isn’t really my biggest problem. For me, it’s more about things like letting worry steal my joy. Or coveting my neighbor’s shoes. Or, when Robbie is out of town, pairing a batch of chocolate chip cookies with a nice chardonnay and calling it Dinner. 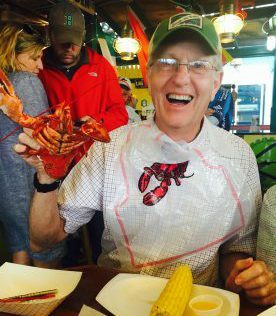 That’s Robbie’s dad (“Pop Pop”) about to tackle a lobster at Coop deVille in Martha’s Vineyard.